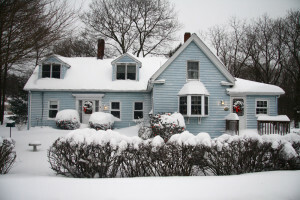 The Winter Season is closing in and the change in weather conditions can effect your home’s foundation. We created a list of things to lookout for. In homes with a sump pump, you should check your discharge line often to be sure the line is not frozen. Sump pumps are vital to ensuring your crawl space or basement doesn’t flood. The discharge line pumps the excess water to away from your home. But if the line freezes, the water is forced back into the home. Be sure the line is sloped away from the house so that water will not pool near the foundation. This will also help the line to not freeze. In areas that receive a lot of snow, sometimes the foundation issues will not occur until the snow melts. Once the snow melts, the excess water built up in the soil can seep into the basement. If you notice any signs of foundation problems or have water leaking into your basement or crawl space, give us a call.